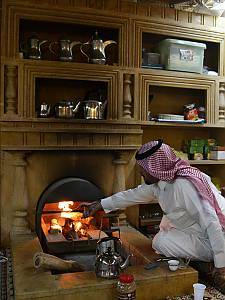 EN: An Emarati woman wearing the traditional burqa (face mask) roasting Arabic coffee beans using Al-Mehmas and Al-Migla (a copper stir and a pan, tools for roasting Arabic coffee) while participating in an Arabic coffee making competition. 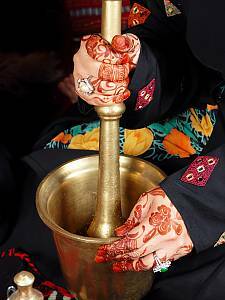 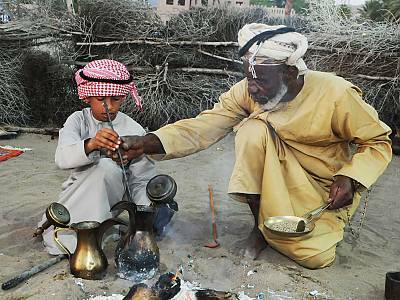 EN: (Dallah) Coffee pot is a symbol of generosity in the Gulf. 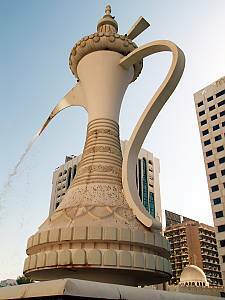 A monument decorating one of the roundabouts of Abu Dhabi, capital of the United Arab Emirates.